The inherent nature of the one-handed backhand’s is to flow freely and appear elegant. It is a natural extension of the arm in a full stretch without the ugly intrusion of the other limb to restrict its flow. However, the advancements in the string technology and slowing down of the courts had rendered the one-handed beauty ineffective for a while. The arrival of Stan Wawrinka as a slam winner, followed by Thiem and the teenage tennis sensation Dennis Shapovalov, and the rediscovered backhand of Roger Federer have all of sudden infused new life into this dying art form. It is astonishing that four of the top ten ATP players today, sport the one handed backhand! After all, wasn’t the one-handed backhand a relic of the bygone era, incapable of effective returns of serves, and handling high bouncing balls? Why the one-handed backhand is tough to learn and master? The one handed backhand is a tough one to master and requires tremendous hand-eye skill to excel. A one-handed backhand can only be tamed by the truly talented, as it is uncompromising and leaves little room for errors in either timing or technique. It also takes longer to learn, and the parents and coaches lack the patience or inclination to commit their child to it. They want quick results for the child, and the two-handed backhand becomes the obvious choice. However, if the child is very talented, the one-handed backhand would perhaps help bring the best of creativity, guile, and versatility without compromising power beyond the teen years. Moreover, Federer has already shown how to handle those high-rising balls with a one-handed backhand – just don’t let them rise high enough by striking the ball early either at or inside the baseline. Pete Sampras revealed in an interview some time back that by going to a one-handed from the two-handed backhand transformed him from a grinder into a shot maker, and the game became immensely enjoyable to him. 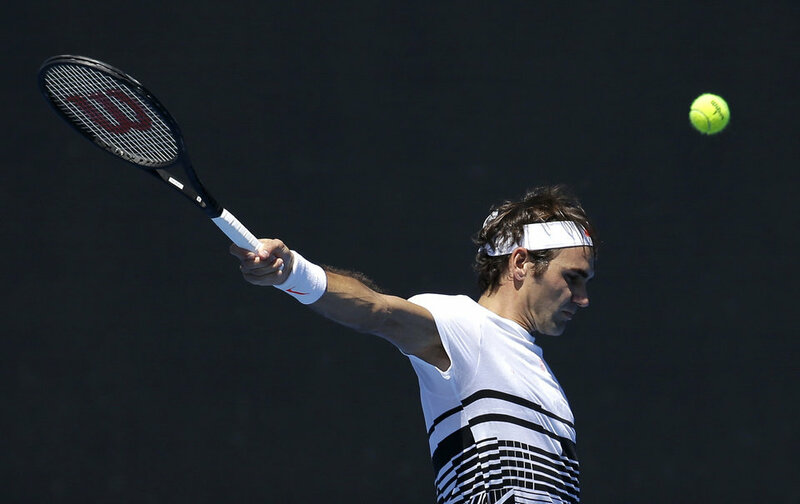 Roger Federer recently announced that he would teach his kids a two-handed backhand only because it’s easier. We all know that the two-handed backhand is easier, Roger, but does it have the free-flowing power and versatility of the one-handed one? Do slice and back-hand volleying come naturally to a two-handed backhand as they do to a single-handed? Does the two-handed backhanded have the reach of a single-handed one? And, what about beauty, grace, and elegance? I am sure that they too count for something. Last, but not the least, why didn’t you with all your talents switch to a two handed backhand? I hope the one-handed backhand does make a return because apart from the fact that it looks more elegant and free-flowing there’s no doubt in my mind that the double-handed version is partly responsible for a lot of hip and back injuries because it puts the top half of the body into an awkward position. Also when going for high balls players have to resort to single-handed anyway, so why make life difficult for yourself? I don’t buy this extra power stuff either because ultimately, as Federer has shown time and time again, whether it’s forehand, backhand or serve, placement is the real key to winning points. As for Sampras, he was so boring to watch I lost interest in tennis for quite a while when he was winning just about everything in sight!